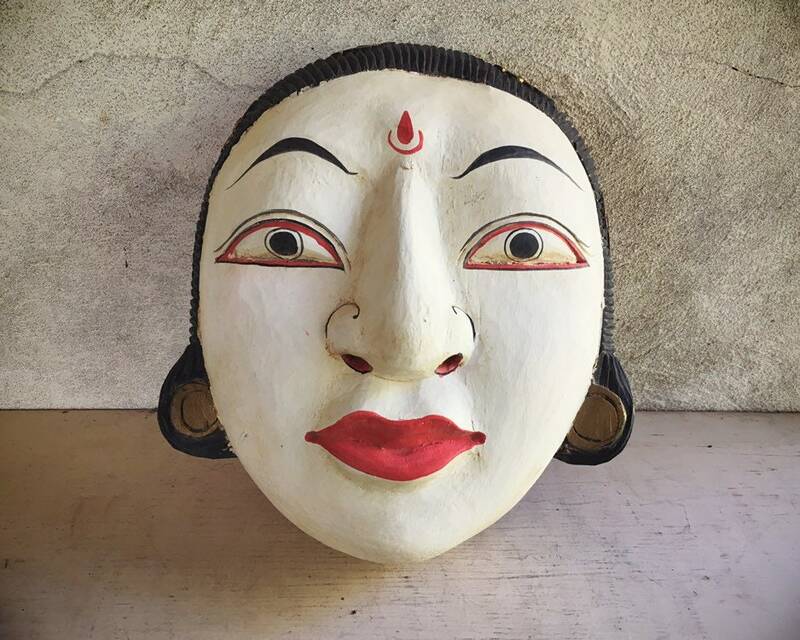 Here we have an older paper mache mask from India, likely from Andhra Pradesh, which is known for producing these large masks. 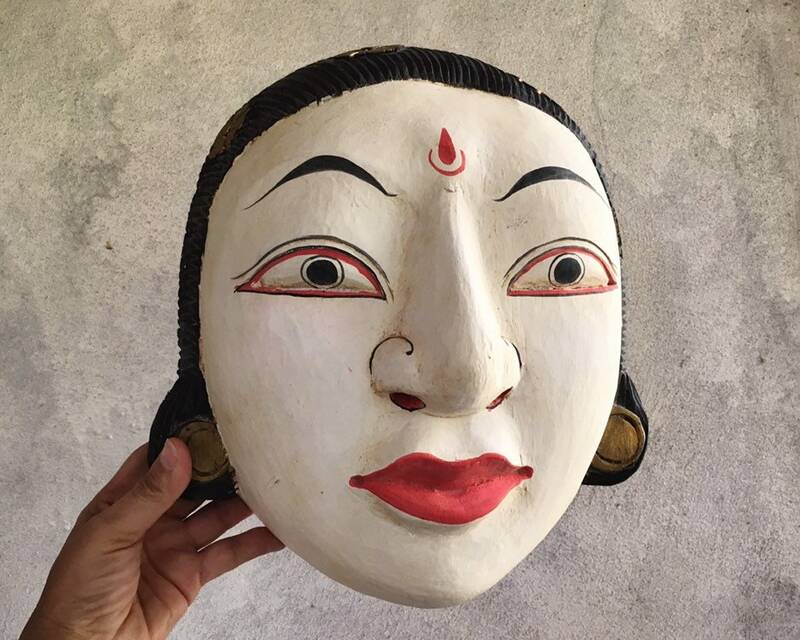 India has a long history of producing masks for dance dramas, festivals and ceremonies, among other events, and depicting mythological characters, gods, and demons. 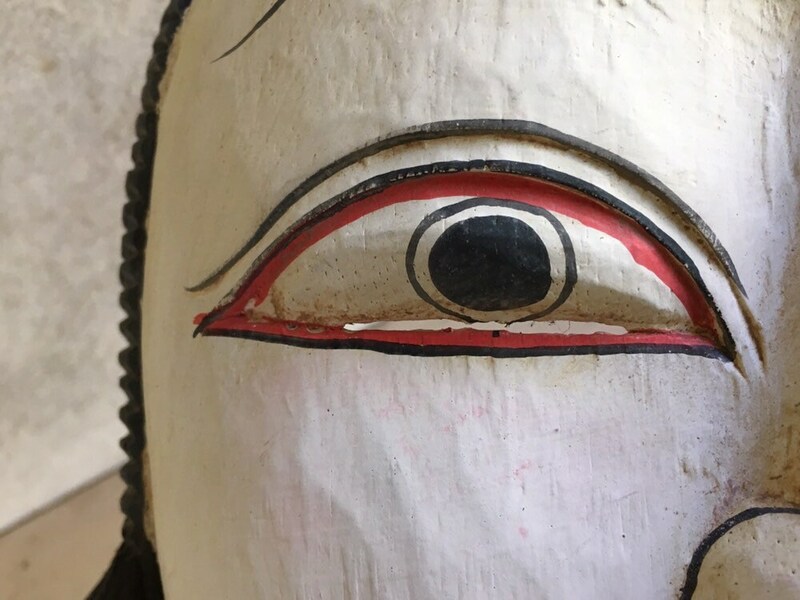 I know very little about this mask, but I was immediately drawn to her first because of the size--she is quite large--and also because of the primitive nature of the piece. 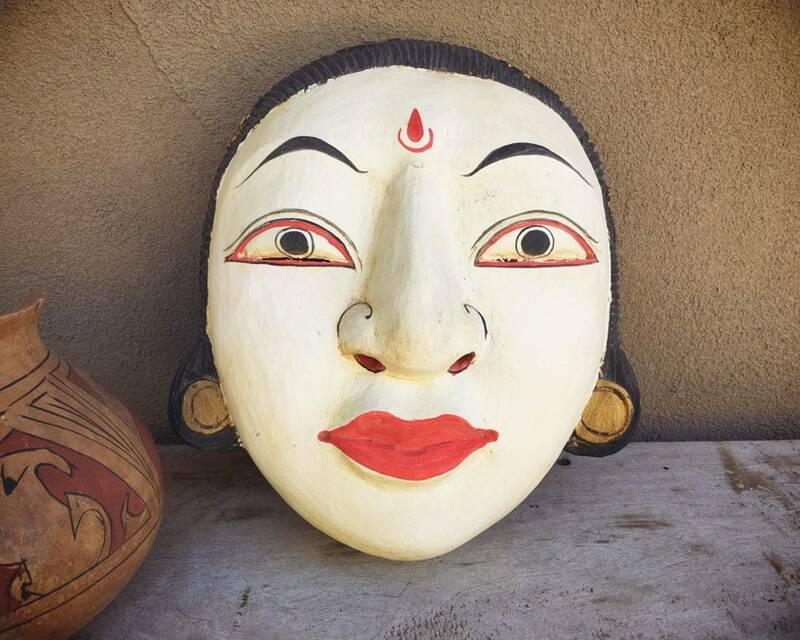 Masks are common among so many different cultures, and I have actually commissioned an artist in Peru to make me several masks. 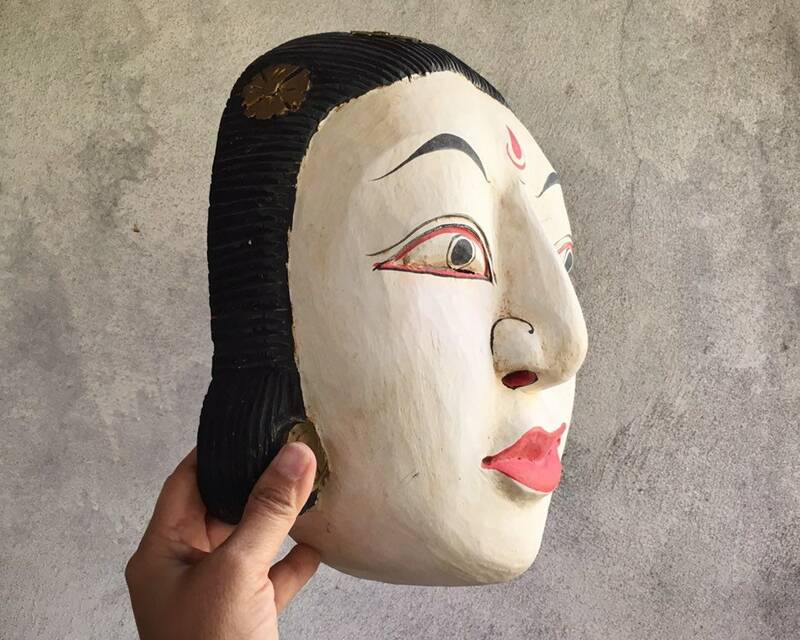 So it was a natural fit, that I should want a mask from a different place altogether, but still, something that represents the kinds of personas we take, the rituals we follow, and the beliefs we hold in our cultures. 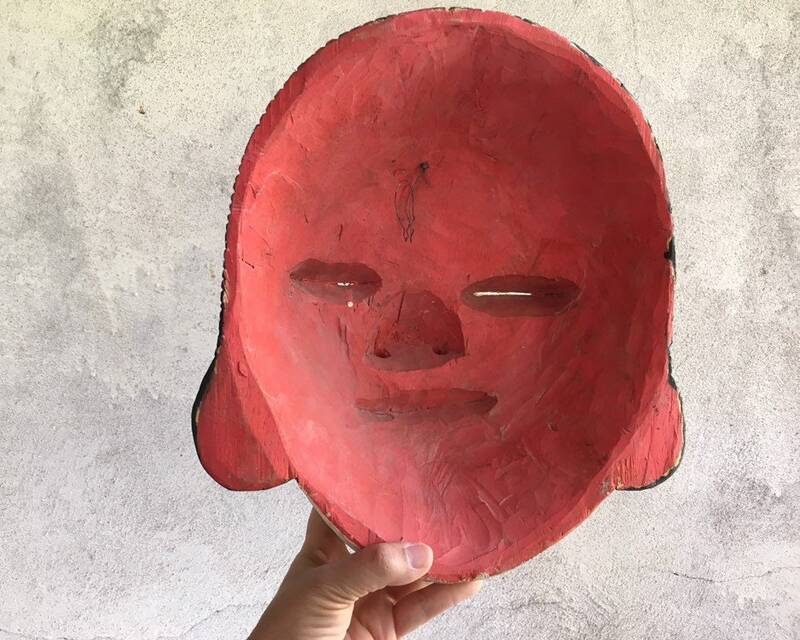 This mask measures about 11" in diameter and about 6" deep. 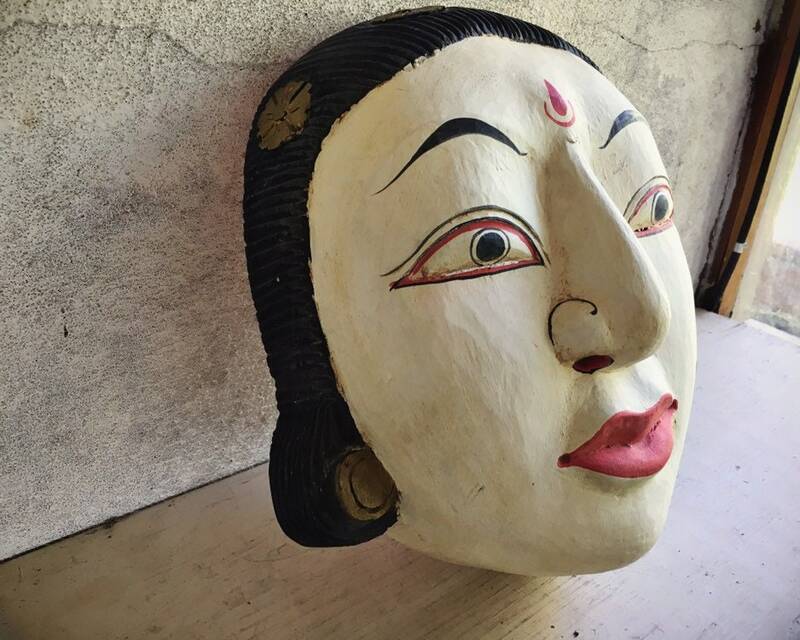 The paper mache has chipped or flaked off in some areas, especially along edges like at the chin, along eye lids and ears, along the eyebrows. I've not touched it up at all, although I have cleaned it and done a light stabilization to prevent further flaking. 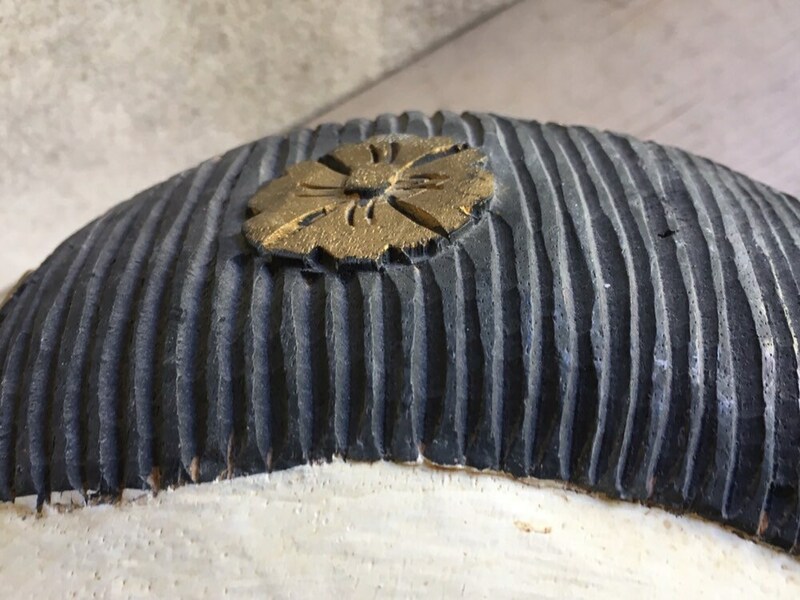 I like the wear, as it shows age, which is rare given that so many of the older masks don't make it given their material. 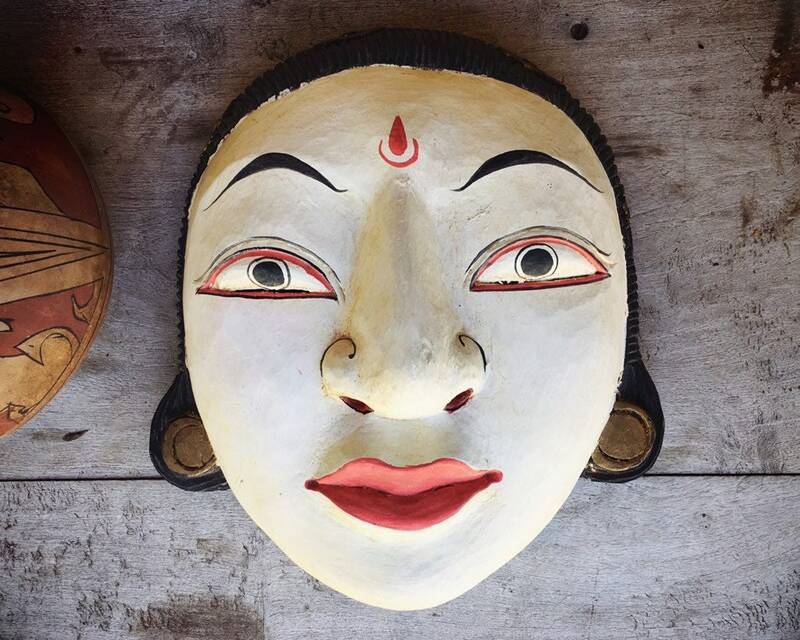 The enduring power of art.